Our planet Earth is a living and breathing organism and as such she channels energy from specific locations on her body just like every other living creature. These centers are called Chakras. The chakra centers on Earth are connected by energy circuits called Ley lines. This planetary grid system has been known and mapped for millenia. The ancients were well aware of the properties of these places on the Earths surface. While these locations are known as the major energy vortexes of Earths energetic body, there are thousands of other places where the energy is strong, promoting the ancients to build structures on these sites, which will be discussed in a later article. Visiting these sites, especially to mediate and make ceremony, can result in strong connections with mother Earth, opening your own Chakra centers, and the ability to be a stronger conduit of universal energy. The root Chakra, or Muladhara, is located at Mount Shasta in northern California. This extremely energetic site is home to one of the most massive volcano eruptions on earth. Mount Shasta is the child of that eruption. Despite its towering heights, it is a mere child compared to the volcano who birthed it. There are many legends about Mount Shasta, going back to the first People, the native Americans whose ancestors still live here. The Hupa, a northern California Indian tribe, has traditionally recognized Mt. Shasta as a sacred place. So too the Karuk, who recognized Mount Shasta as place of power even though it was outside their territory. They tell stories of the mountains’ powerful healing properties, having healed through prayer, songs, dancing, doctors and nature. The Ajuamawi Indians addressed the mountain as grandfather. These people respected and feared the mountains powers. Trips to the mountain involved special preparations that included prayer, fasting and guidance by a medicine man. 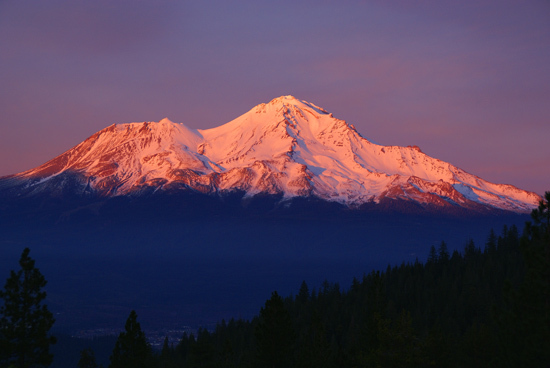 A detailed account of the other native traditions and stories associated with Mounts Shasta is detailed in article below by Theodoratus and Evans. 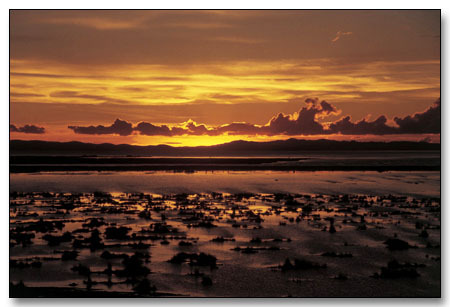 Lake Titicaca is home to the Svadhisthana Chakra and is associated with the color orange. There are many mysteries associated with Lake Titicaca, the salty lake that once was adjacent to the sea. Titicaca was pushed up violently to its current location 12,000 feet in the Andes mountains in between modern day Peru and Bolivia a mere 10,000 years ago. Legend associates this place with Atlantis. Nearby are the mysterious ruins of Tiahuanaco, a toppled ancient megalithic city that holds strange images of alien like Gods and whose architecture incorporates ancient technology. Ley lines connect the Chakra centers to each other. This life-giving telluric current, which resides in the El Tule tree near Oaxaca City in Mexico, near to the mysterious ruins of Monte Alban connects the Earth’s Chakras, allowing the energy to flow all over the globe. This great world Ley artery is known as the Plumed Serpent and flows from Mount Shasta to Titicaca, following a route that takes it through other important megalithic sites, including Iquitos Peru, Cuzco and Machu Picchu. 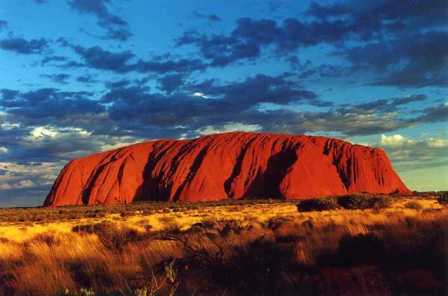 Uluru, the Earth's solar plexus chakra. Uluru rock, formerly known by its European name Ayers Rock, is the location of our planets solar plexus Chakra, or Manipura, and is associated with the color yellow. This place has always been known as sacred place by the native Australians, the Aborigines. Their creation legend of “Dreamtime” tells of a sacred ritual that will be completed at Uluru in the near future. During a rare Saturn-Pluto conjunction in 2020, it is said the ritual will be completed by the great Earth Spirit at Uluru. At this time perfection will spread throughout the world and death will disappear from all species. According to the legend, this event is symbolized by a great cosmic umbilical cord will connect the Sun and Earth in perfect harmony. The other great ley line, the Rainbow serpent, emerges at Uluru from the underground, where it follows and energetic line to Katatjuta. Once in Katatjuta, which is a natural Cathedral of sorts, it is shaped into various energies to be used by the many different species of life on Earth. Once complete, it exits through a heart shaped stone known as Ngunngarra, erupting to the surface. From here, the energy follows the Rainbow Serpent to Bali where it intersects with the other great Ley line, the Plumed Serpent. 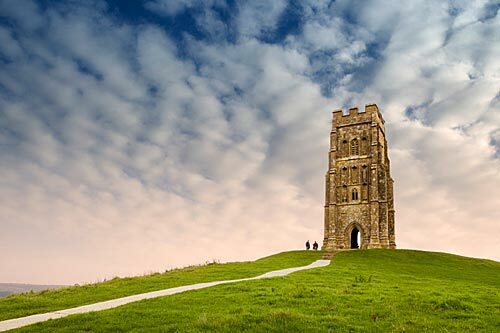 Holy Glastonbury Tor in Somerset, England. The Earth’s heart Chakra, Anahata, is located in one of the most famous holy places on Earth, marked by the centers known as Somerset, Shaftesbury, Dorset and Glastonbuy, England. It is represented by the color green. This site is one of the oldest continuously inhabited places on Earth. Glastonbury Tor, an ancient sacred mound, has been called the “Heart of England.” It has been the site of numerous legends, going back through medieval times and continuing today. This area is also known for the frequent crop circles that appear here. Somorset has been the location for crop circle conferences and the area is a meeting spot for crop circle researchers and investigators. Crop circles, which have become increasingly more complex, beautiful and intricate in the past decade, exhibit strong magnetic anomalies which have been recorded by researchers. The Rainbow Serpent brings many such energies from his journey from Australia to England, which includes the sacred place of Mt. Kailas in Tibet, the energy from which is decoded at Shaftesbury. 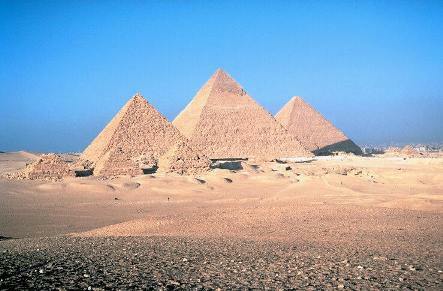 Vishudda, the Earth's throat Chakra, is located in the area that contains the Great Pyramids. Vishuddha, the throat Chakra, represented by the color blue, exists in the area marked by the Great Pyramid, a monument erected in its honor. This Chakra is unique among all the earths Chakras because it does not exist on a Ley line. This spinning vortex of energy is the voice of the Earth. This is also, geographically, the exact center of the Earth’s landmass. Being sacred to many cultures and several modern day and ancient religions, the area surrounding the Earth’s Vishuddh Chakra is home to ancient wisdom that is passed down, some say, from ancient Atlantis. The modern day turmoil that exists in the Middle East is a physical manifestation of the cries of the Mother, who beseeches us to come to consciousness and follow the light. The physical fracturing that is apparent in the turmoil being acted out in the Middle East is representative of the spiritual turmoil that has gripped mankind. By answering her all and learning to use this energy positively and in harmony with the Earth, there are no limits to what mankind can accomplish. 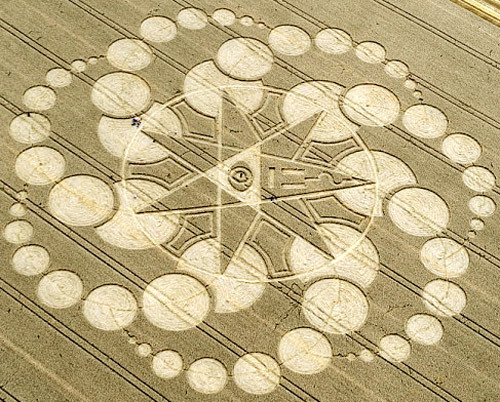 Crop circles, like this one from 7/7/07, appear in western Europe where the Anja Chakra is currently located. The sixth Chakra, Anja, is the third eye Chakra and is associated with the color indigo. This is the sixth sense Chakra, the one that opens portals and allows extra-dimensional energy to enter this world. Anja moves with the precession of the Earth’s rotation. Each time we enter into a new age, Anja is moved to a new location which will facilitate the energy entering in during the Age. Currently the Anja is in western Europe, not un-coincendently the location of the major crop circle activity. Legends that are prevalent in cultures around the world that describe an invisible city where immortals live are associated with this Chakra point. These invisible inhabitants are drawn to the area where this Chakra is located in order to usher in the energies for the new Age. The crop circles could be the physical communication that is occurring between Earth and higher dimensions through the throat Chakra. In another 2,000 years, when we enter the age of Capricorn, the Anja will reside near Recife, Brazil. 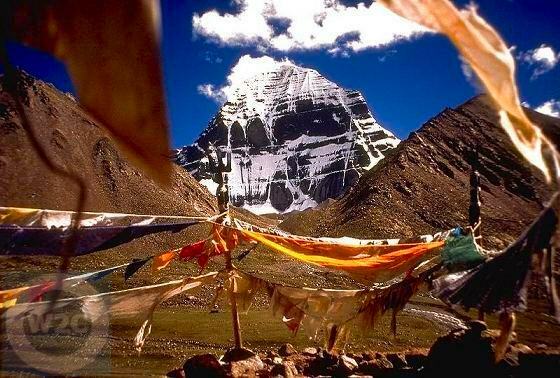 Sahasara, Mount Kailash in Tibet, the Earth's crown Chakra. The crown Chakra, Sahasrara, is located in the true holy land of Tibet. Its keepers, the people of Tibet, kept humanity’s collective energy connected to the Earth’s at this most holy of holy places for thousands of years. Their highly developed level of consciousness in part comes from their close contact to this highly energetic place. Sahasrara emanates the True Will, the Earths True Purpose. The removal of ritual from these holy places has created some of the discord we are all experiencing energetically. This is why it is so important for Light Workers and people everywhere to maintain the ritual of connecting to this divine energy on a regular basis. We must work to reconnect this link that was broken. Meditating with crystals is a powerful way to connect with these sacred places. Choose a crystal that represents the Chakra point you want to work with. Before your session, gently cleanse your crystal by placing it in the direct sun for at least 15 minutes. When you sit, light a candle and place it in front of you and your crystal. Bathe your hands near the fires flame to cleanse them of negative energy before taking the crystal in your hands. Meditate on your Chakra and the Earths Chakra, connecting using the crystal to enhance the energetic connection. In this way you can both be healed and heal Mother Earth.